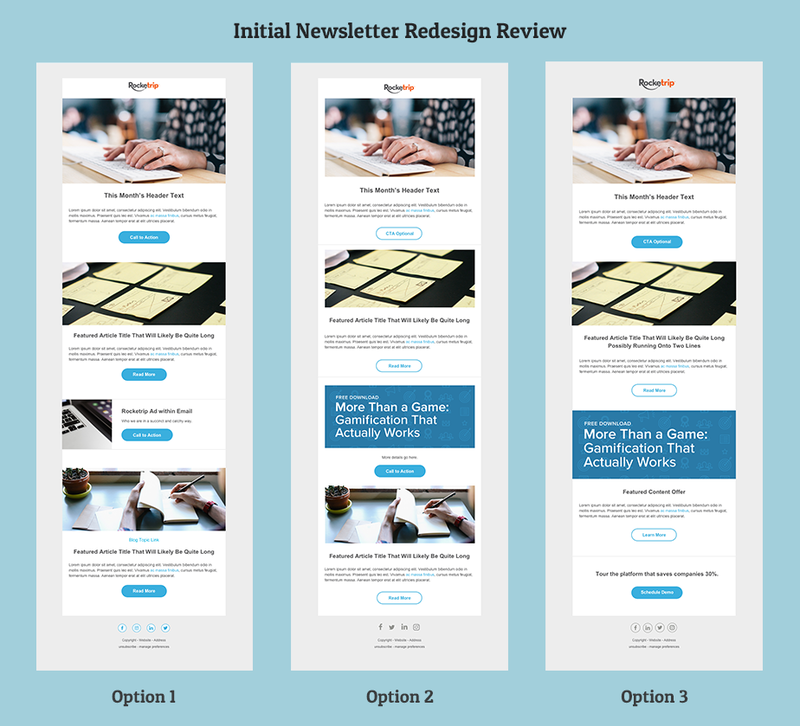 In an effort to bring all marketing collateral up to a higher standard, the design team, the lead graphic designer and I, conducted an audit of emails sent to prospects and users. 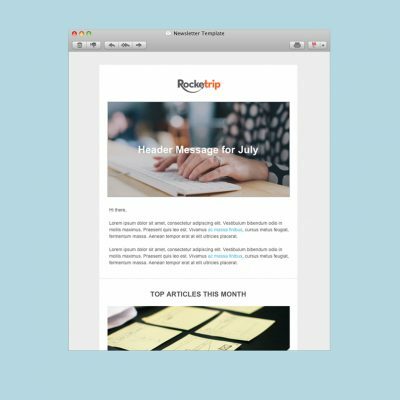 We found that for over a year, Rocketrip’s newsletter was built with a template provided by Hubspot as part of their email marketing platform. 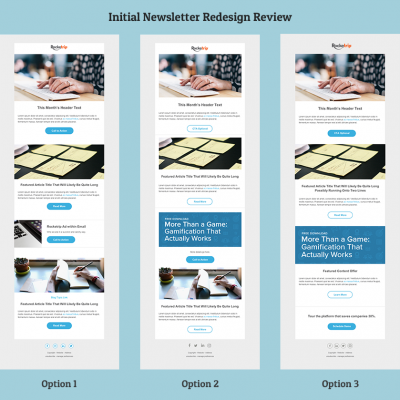 We used this as a starting point for increasing consistency across all emails. 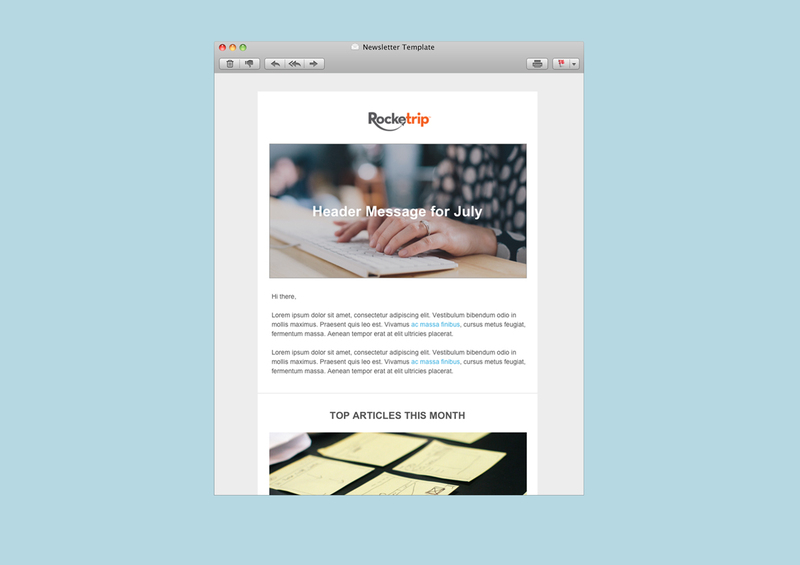 Taking a minimalist approach consistent with the company website, I presented three directions for the newsletter. 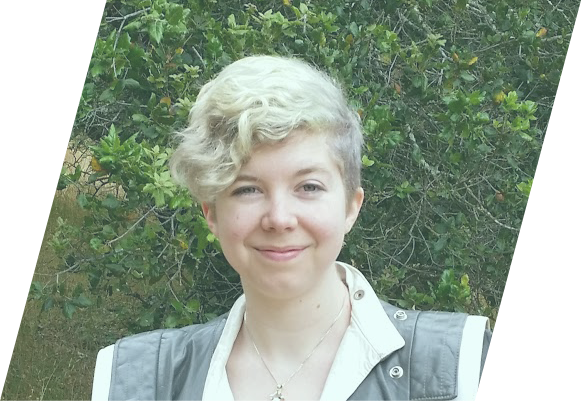 From there, we were able to narrow down what to include and see what was more playful than needed. 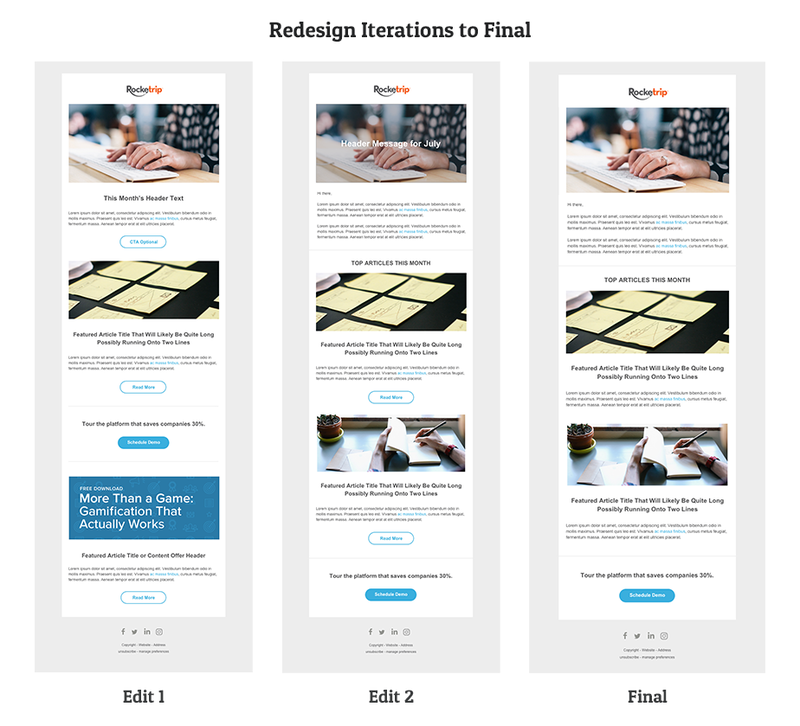 After the second round of edits, I implemented the designs in Hubspot as a template for the marketing team to use going forward. 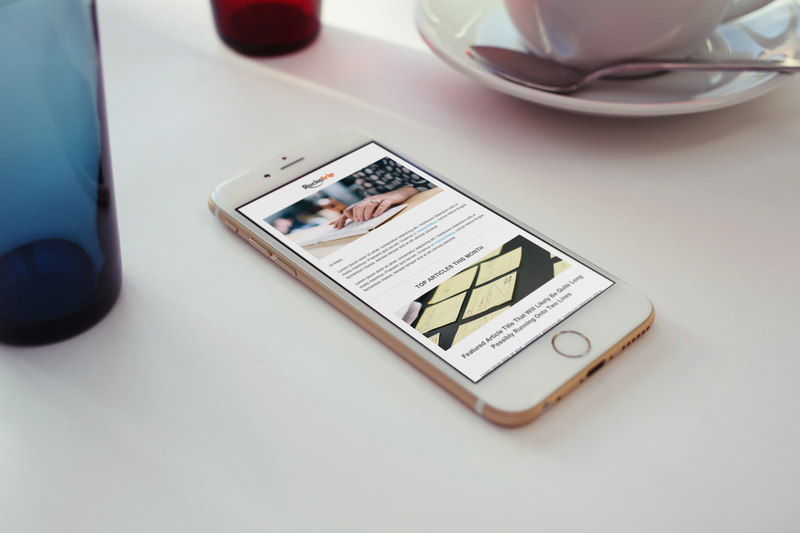 Further rounds of edits were made as we received feedback with tests of the newsletter in our inboxes. 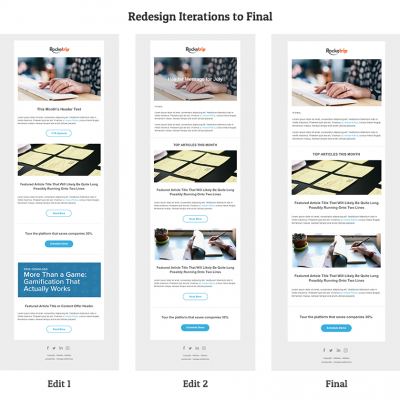 Based on the final newsletter design, we created templates for all other emails being sent from three separate platforms.